Photography, Interaction, Culture, Creativity, Exploration and Fun. Are you ready to turn the traditional corporate treasure hunt on it’s head? A Shoot Photography Corporate team building program is more than a creative and interactive treasure hunt. It opens your teams eyes to possibilites. It exercises the creative mind. It connects your team with the local environment. Takes an enthusiastic team and a digital camera and you can discover the hidden treasures of a city, improve teamwork, explore key themes and and unleash a team’s creativity in this high-energy, fun and creative program. Armed with digital cameras and a dynamic crash course in taking amazing photos, teams experience the atmosphere and unique environment of any Australian city or outdoor environment. Each team member has a vital role in this team building program. Visible team involvement in photographs is actively encouraged and essential, as is interaction with the local community. Working together in a creative way is beneficial to achieve the outcomes of the team activity. 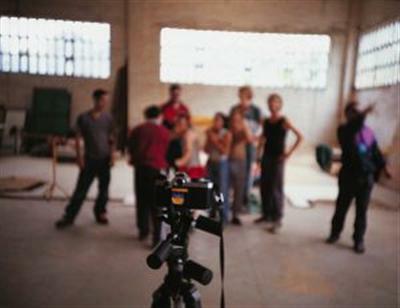 A central theme for the photography program is chosen before hand to maximise the benefits of the team activity. Through team interaction, lateral thinking and lateral behaviour, photography and a huge splash of creativity, key themes and messages are brought to life and become real. Through visualisation and exploration, key messages are given deeper importance, lodging it firmly in the hearts and minds of team members. * Fun, unique and dynamic day that engages everyone – no physically challenging activities!